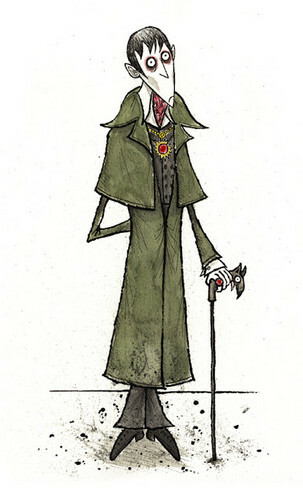 Tim Burton's Dark Shadows - Barnabas Collins. Ink, ink pen and water colour on water colour paper. 7" x 12".. Wallpaper and background images in the टिम बर्टन club tagged: tim burton director johnny depp dark shadows barnabas collins vampire cute image painting.